In the evening we went back to the Blues Pub, just a very short distance from our hotel. I enjoyed seeing into the kitchen prep area, where the woman was chopping our vegetables. Dan had green curry, and it came out first (with rice, of course). I could see her pouring it from the saucepan into the serving dish. A bit later the man came out of the cooking area into the prep area with a wok and delivered mine onto my plate. It was a stir-fry of green peppers, onions and chicken. It also had some bits of carrots and other vegetables. Everything here is so fresh -- there is no waste in the kitchen, dishes are prepared to order. But it all goes very quickly. On the way to supper, we stopped at a drinking water machine. 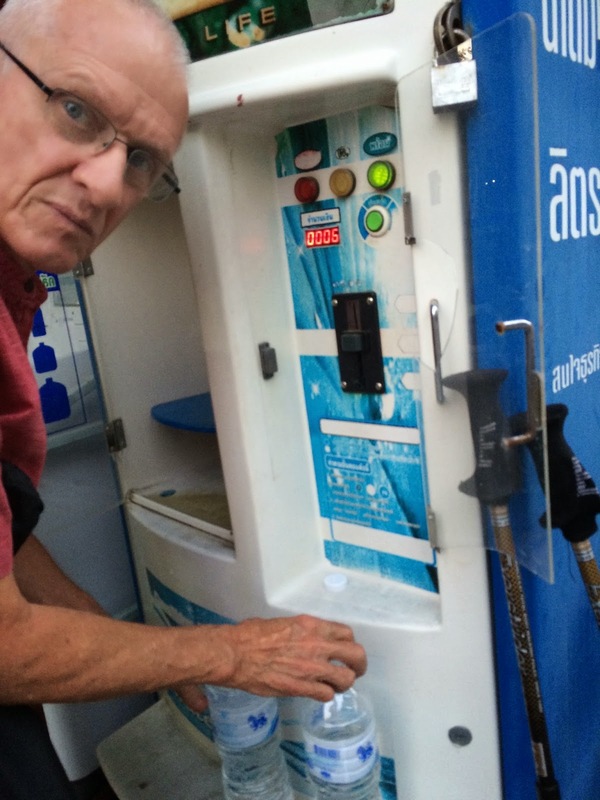 We've been buying bottled water (it's fairly cheap) but these machines serve it up at 1 baht per liter. 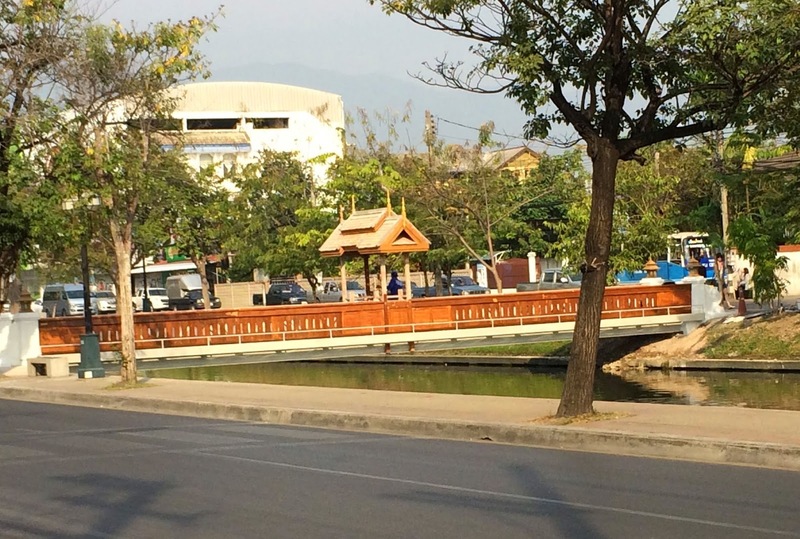 This foot bridge across the moat is between us and the park (which is near my Tai Chi school). When we first got here, it was just a structure of steel beams. During the weeks we've watched, it has been finished off nicely. A man was still painting the poles inside the little kiosk in the center. I think the goal was to get it finished before the flower festival. Stay tuned tomorrow for photos from the flower festival. I think I took nearly 200!! Sorting them out will take a while.